Fun, comfortable, dependable, good-looking, and upgradeable - what's not to like? 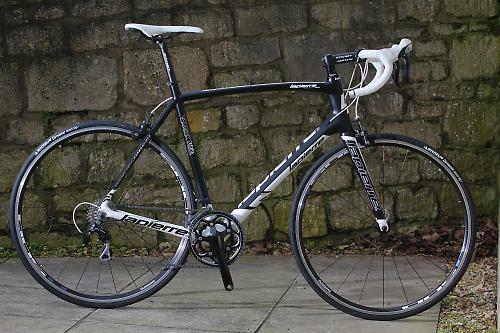 The Lapierre Sensium 200 CP (2013)is a carbon bike that's well worth looking at if you're in the market for a bike just above £1,000, and it's a chassis that certainly has upgrade potential. It's great when a plan comes together. 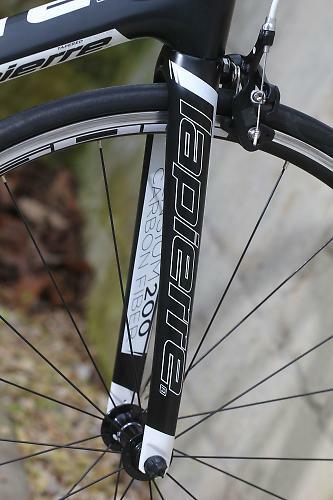 Lapierre's plan for the Sensium 200 was no doubt to create a good value, well-specced carbon bike that's fun to ride. And they pretty much nailed it. This is a lovely bike to ride, and at £1,300 it's well within reach of many riders, even if it falls outside of normal cycle-to-work limits. You'll want to go a lot further than work, anyway. 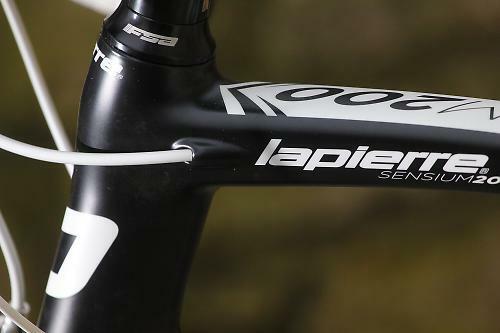 The Sensium is a new frame for Lapierre. 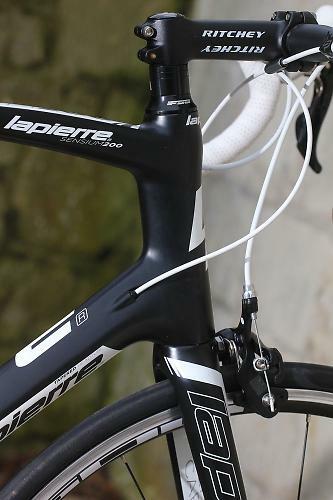 In fact, it's two new frames: the cheaper 100 and 200 use a carbon monocoque of fairly standard construction, whereas the frame that gets built into the 300, 400 and 500 bikes benefits from the inclusion of an elastomer in the seatstay which Lapierre claim reduces vibration by up to 25% over their top-end Xelius frameset whilst keeping the same lateral stiffness. 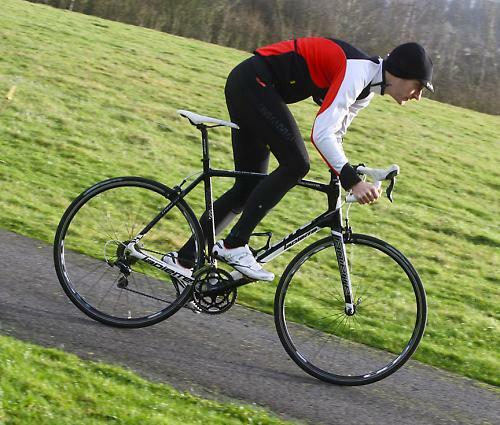 The frame of this bike has to make do with just the damping qualities of the carbon itself. Both frames have been developed in conjunction with Koga. It's a nice looking frame, too. The top tube is slightly convex along its length, and flattened to a squarish section giving a flat top surface for a nice big graphic. The down tube is more triangular than anything at the asymmetric head tube, flattening out to a horizontal oval at the press-fit bottom bracket for maximum area. The chainstays and wishbone seatstays are pretty chunky and more or less circular in section. The frame is mated to a full-carbon tapered-steerer fork that's a more or less straight blade, with a flat inside face and a curved outer. Geometry-wise you could call it a sportive bike, or you could call it a race bike. It's somewhere in the middle. The 20cm head tube and 58.5cm effective top tube on our 58cm test bike is certainly lower and longer than some low- and mid-range bikes we've seen. in terms of pure numbers the closest match we could find was Wilier's Gran Turismo, which Wilier describe as a sportive bike but with a race geometry. So that's nice and clear. 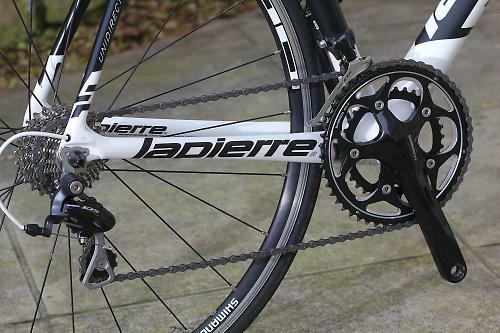 Kit-wise, transmission is mostly Shimano 105; the chainset and brake calipers are non-series to save a bit of cash. 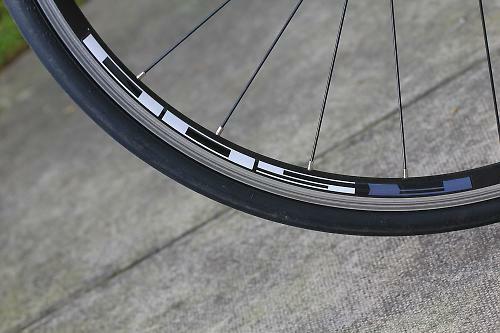 Wheels are Shimano's dependable R500s, with Michelin Dynamic Sport tyres. 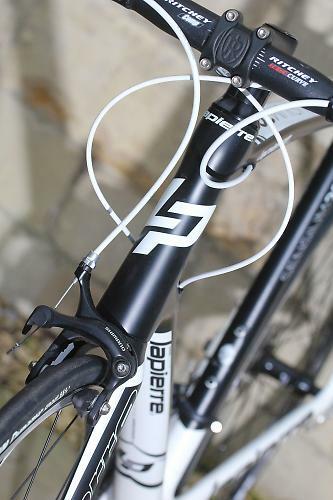 The finishing kit is Ritchey alloy bits for the most part, which don't normally disappoint in terms of bang-per-buck, and faux-leather white bar tape (to match the white hoods on the 105 levers) and a white Selle Italia X1 saddle complete the deal. Enough talk about the pieces, let's sling a leg over the Sensium 200 and see how it rides. Straight from the off the impression is of a purposeful but comfortable bike. The Sensium frame might look quite chunky at the rear in comparison to some, but it's not a harsh ride at all. The ride sensation isn't just down to the frame of course; the tyres, wheels, seatpost and saddle all have a role in transferring – or not – those bumps to your back end. Even with an alloy seatpost and a 23mm tyre, though, the Sensium does a great job of smoothing things over. Swap up to some 25mm tyres and a carbon 'post and you'd probably be moving into 'plush' territory. The same is true at the front. 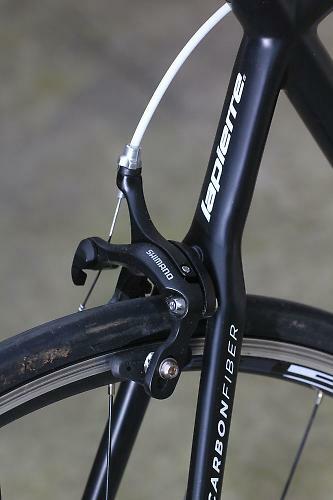 The tapered fork makes for a direct feel to the steering but even with a straight-leg fork it doesn't feel harsh. 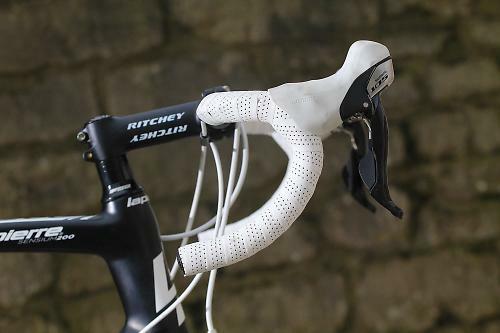 The Ritchey Logic Curve bars undoubtedly help here. As alloy bars go they're one of my favourites, really eating up road shock, especially on the drops. And because the drops are reasonably shallow you can spend a bit more time there. So that's good then. Nice and comfy. Even the Selle Italia X1, which isn't my favourite perch by a long stretch, didn't really put the dampeners on things. In terms of riding position it's certainly a bit lower than many sportive bikes I've tried. It's amazing how much an centimetre added on or lopped off can affect the feel of a bike, and the Sensium feels racy for what's not a particularly expensive machine. The shallow bars accomodate fairly long stints in the drops too, which is good when you're taking it in turns at the front. When you need to change direction the bike is very eager. It's not twitchy but it is fairly lively, and for the most part in an enjoyable way. In fact the whole ride is lively; get out of the saddle and give it some beans and the Sensium doesn't feel monolithic like some carbon bikes, it's responsive without feeling flexy. 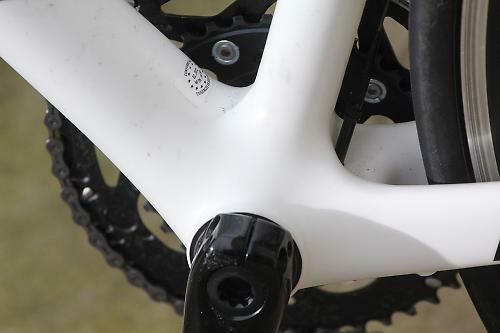 You'd struggle to induce any noticeable flex in the well-built bottom bracket; the chainstays aren't as big as has become the norm on carbon race bikes but they're well capable of taking the strain. Climbing is excellent, with masses of traction from the Michelin tyres in all the conditions we tried, which was most conditions you could expect... whether that's the tyres or the chassis or a product of both it's hard to say. At 8.4kg it's not in the super-lightweight bracket but the Sensium is quite happy to spin up any climb you're likely to encounter, with a 34/28 bottom gear for the steep stuff. Stand up and put the hammer down and it's happy to respond. It'd be easy enough to drop the best part of a kilo from the overall weight without really trying; a light wheel and tyre combo and a carbon seatpost and lighter saddle would probably knock 700-800g from the overall. Shifting is predictable and unremarkable, in that Shimano 105 way. 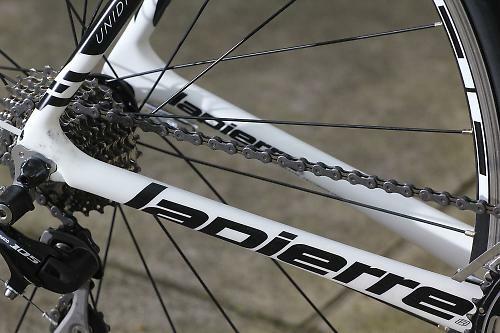 105 is probably my personal favourite groupset - you get such a lot for your money these days. The downgrades don't affect function too much. The chainset is heavier but other than that you won't really notice the difference; the calipers have Shimano's scratchy-but-effective stock blocks. They'll stop you fine but an upgrade of a decent cartridge pad will make everything happen with a bit more finesse. I haven't needed to do anything to the drivetrain at all, save for wind the brake blocks in a bit. So it's all good then? 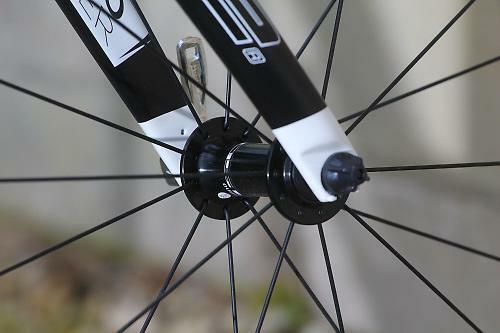 Well, the R500 wheelset isn't the best you'll ever use. They're fairly heavy and not particularly stiff. On the plus side ours were neatly built and stayed true throughout testing, although they did have a rather large burr on the rear braking surface which gouged a hole in the brake pad and made a bit of a racket until we attacked it mid-ride with the multitool. It's not unusual at all to see R500s on a bike at this kind of price and they're the simplest (and most effective, normally) upgrade you can make. It's up to you to make a call as to whether a bike deserves something better. This bike certainly deserves something better, it's crying out for a pingy 1,500g set of hoops to really get things going. Everything about the ride, except for the R500s, feels like a more expensive machine. So be happy that you're getting a great ride for your money and start saving now for some summer wheels. A ringing endorsement? Yes, more or less. Okay the wheels aren't the greatest but as a package for £1,300 it's good value and an involving ride. The position is comfortable yet purposeful, the frame is excellent and well matched to the good value componentry. With a 100% renewed frame, better internal cable routing and numerous innovations, Sensium bicycles maintain their core position with passionate riders. All models are Di-2 compatible, come with a press fit BB and a new head tube. Tidily made and nicely finished. Fitted very well, slightly racier than the sportive norm. Really good overall ride. Responsive enough to be interesting, stable enough to not give you any surprises. Very well, some wheel rub but that was down to the wheels, not the frame. It goes where you point it, and responds well to rider input. It's stiff enough at the front; not the stiffest I've ridden but direct nonetheless. The saddle's not one of my favourites. The handlebars are excellent. The wheels are the main culprit. Liking the buy it local button! Cheers. Dave looks as if he has lost a lot of weight?